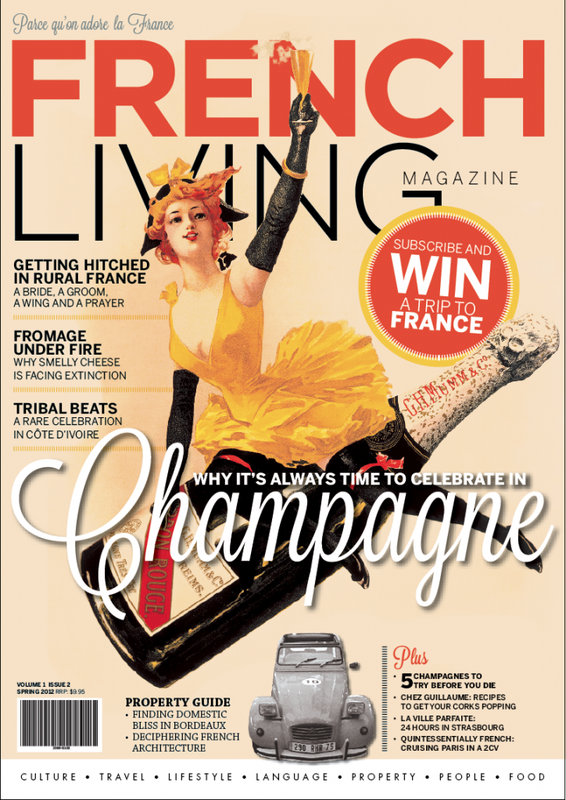 This article was written for the Spring Edition of Australia’s French Living Magazine. You can view an extract of the article here, or pick up a copy of the publication here. When I first arrived in Paris over two years ago, if you had tried to convince me that French cheese was an endangered species on the culinary food chain, I would likely have choked in disbelief on my staple lunch order of Salade de chèvre chaud. My first exposure to the concept of “Les fromages en voie de disparition” (endangered cheeses) was through a French documentary called “La guerre des fromage qui pue” (The war of stinky cheeses) — an eye-opening exposé on the French dairy industry revealing the how countless French cheeses annually become extinct due to increasing hygiene controls enforced on small-scale producers, globalisation by mega dairy cooperatives, and the general decline in demand by French consumers for premium, artisanal products. Curious to learn more, I arranged to meet with one of Paris’ most respected, accomplished and outspoken men in the cheese business: Philippe Alléosse. 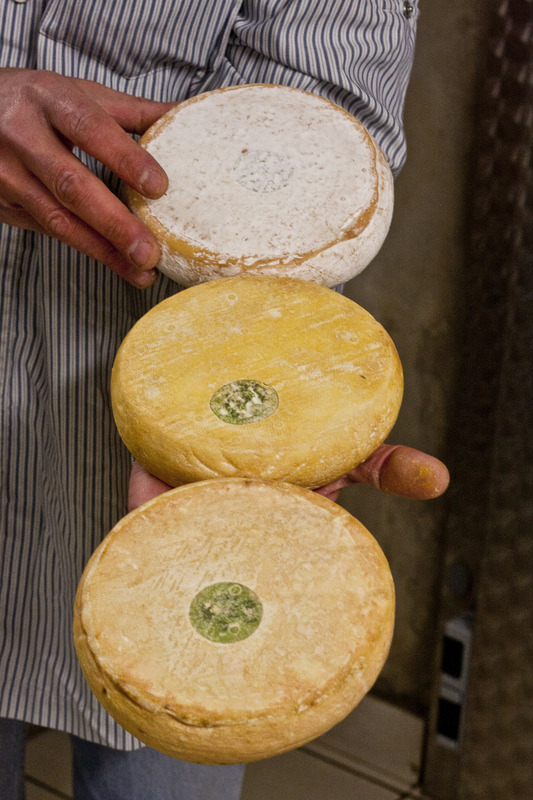 A master fromager and affineur, Alléosse’s task is to ripen cheeses in his vast network of Parisian caves. 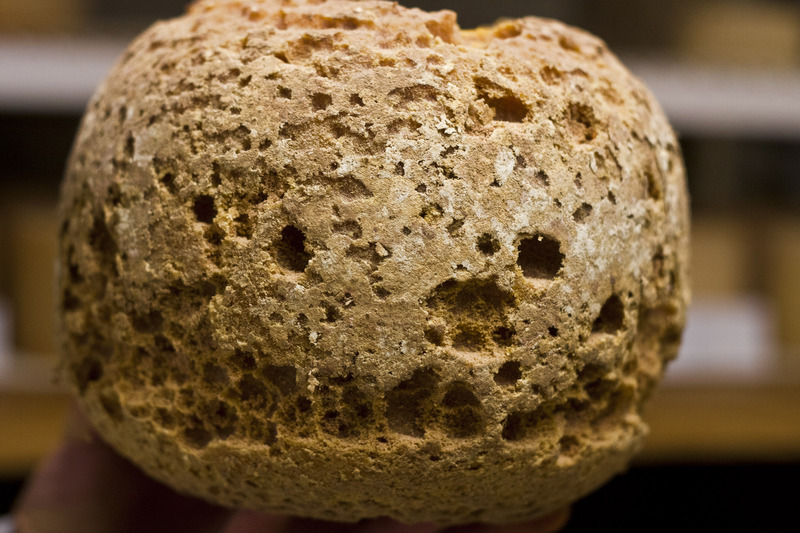 He is not only a master when it comes to cheese making, but also a passionate ambassador for the preservation of what could be a dying art – the cultivation of stinky, gooey and delectable fromage. Alléosse is determined to show me first hand the dedication, patience and savoir-faire required for the genuine artisanal production, and it’s serious business. For one, the hygiene standards on site are higher than your average hospital. I am quickly covered in a long white lab coat, my hair is whisked away in a plastic net, and my new season’s espadrille wedges are given attractive blue plastic sockettes to cover them completely- much to the amusement of the on-site staff, but necessary to prevent any foreign microbes entering the caves. “Pas de problème!” I oblige willingly- I would hate to be responsible for infecting the Parisian cheese supply! Occupying over 300 square meters underground, the caves are divided into four separate zones categorised by variety: Cave à croûtes lavées (washed rind cheese cave) which includes Reblochon, Maroilles, Epoisses; a Cave aux chèvres (goats milk cheese cave); Cave à pâte molle à croûtes fleuries (soft cheeses with bloomy rind) which includes Brie, Coulommiers, Saint Félicien, Saint Marcellin, and lastly a Cave à tomme pâtes cuites/pressees (pressed or cooked hard cheeses) housing varieties such as Comté, Beaufort and Pecorino. Alors…the first thing that hits you is the smell. The odours oozing from hundreds of cheeses slowly ripening underground in closed vicinity could only be described as taking in a long, deep sniff from a bottle of pure, industrial-grade ammonia. Alléosse senses my discomfort and assures me I’ll get used to it. Making a conscious effort to breathe through my mouth, the giant fridge doors to the first cave are swung open. My cinetrash mind makes a quick comparison to a scene from a H.R Giger sci-fi film, where you see thousands of alien eggs resting dormant underground. 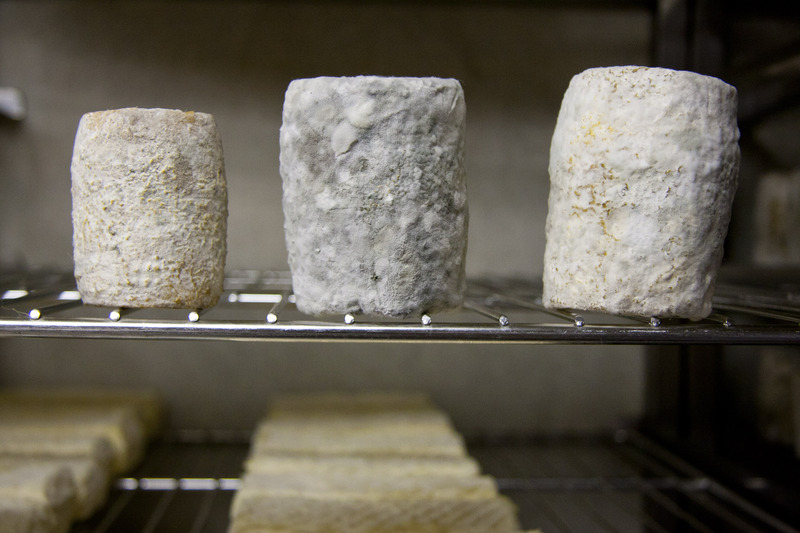 But what lies before me is far more interesting and a little more terrestrial: in this room, the simple elements of milk, bacteria, perfect conditions and terroir combine to transform humble curds into complex, diverse and delicious cheeses. I instantly want to know everything there ever was to know about cheese! We start with one of the most renowned of all French cheeses- you either love him or you hate him, and they call him Epoisses. I couldn’t have named this cheese better myself; the word is effectively a perfect onomatopoeia. 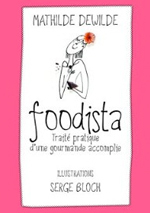 Eposisse: ça puuuuee! Epoisses comes from the Burgundy region and was actually the favorite cheese of Napoleon. Its offensive pungency ranking means it’s apparently banned from being carried on public transport in France (I have yet to see anything official confirming this). 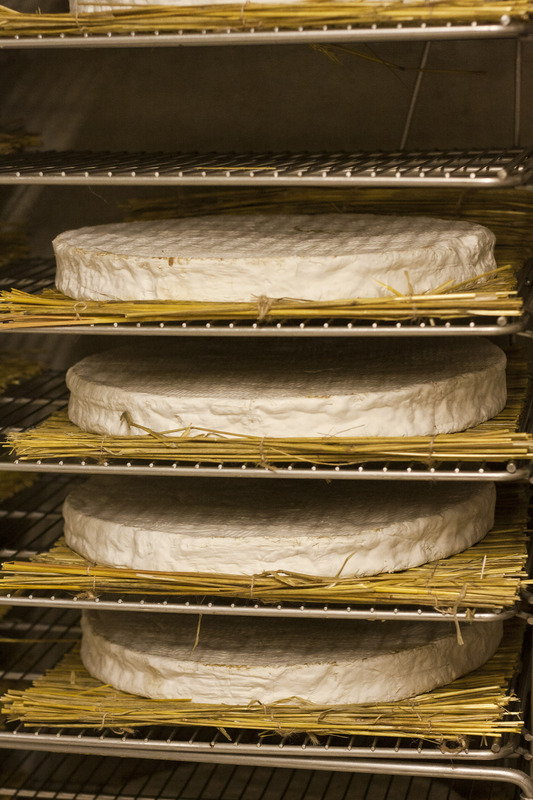 When Alléosse explains exactly how the cheese is matured, I start to understand why. 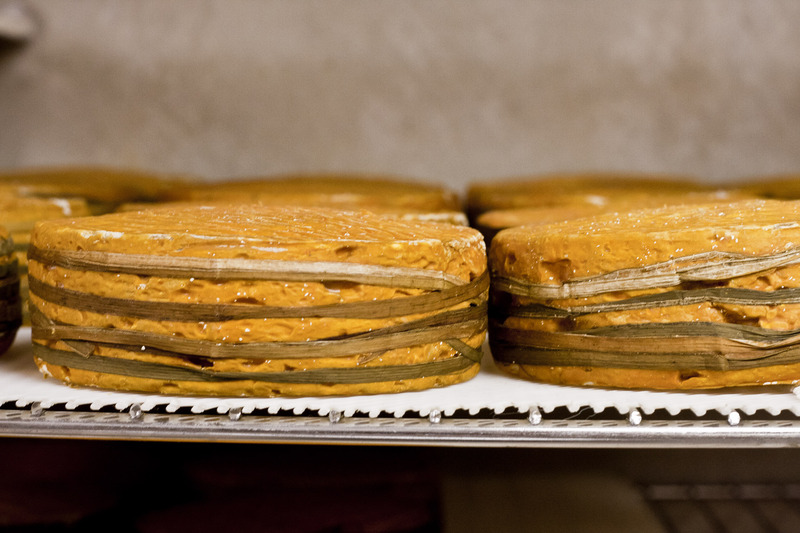 Epoisses develops a characteristically slimy orange rind as it is progressively washed in a solution of Marc de Bourgogne (a local brandy), mixed with 50% water, twice a week over the period of approximately four to six weeks. Amazingly, the rich orange colour of the rind is a natural effect caused by a reaction from the carotenes in the unpasteurized cow’s milk. Next I am introduced to an orangey-pink cheese that has three rows of something resembling a green ribbon neatly wrapped around it. The cheese is called Livarot and comes from Normandie. The wrapping in river reeds and is a tradition that was originally designed to represent the stripes on a Colonel’s uniform. The assemblage of the bulrush reeds is carried out by a particular group of women in one village who are efficiently complete the assemblage of each reed in under 5 seconds. Not a bad party trick to hand down through the family! Taken back, I had nothing left to say. It seemed both wonderful and slightly worrying at the same time that the secret to creating such a highly coveted product is in the hands of one sole individual. I can’t help but reflect on irony in this story. 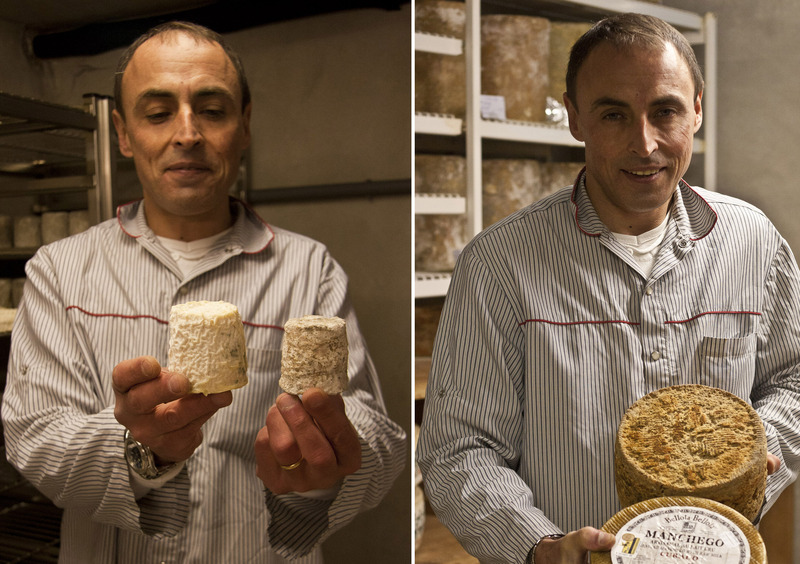 Here is a man whose life’s passion is to continue and conserve the tradition of traditional cheese making as has been done for centuries, yet the key and secret to one of the greatest French cheeses is held in this same man’s hands- and there’s no spare copy. Only in France! We move to the next cave- a room full of cheeses made mostly from goats’ milk. Now this is what I call paradise. Pyramids, bricks, cylinders, bouchons, and heart shapes… the chèvres are endless. I spot one of my favourites- a Corsican cheese covered in a soft blue-grey mould, wild bush herbs, juniper berries and fennel seeds- the lovable Brin d’Amour, which Philippe tells me is frequently imitated and sold under the name of Fleur de Maquis. Again, another copycat cheese! I like to think I have at least been getting the real thing. Philippe beckons me over to a large rack of log-shaped chèvres- I identify them correctly as Le sainte-maure-de-touraine, La Loire Valley’s famous goats cheese. Just when I think I am gaining some points on my cheese knowledge, Mr Alléosse is quick to clarify. He taps one on the bench and a pile of dust gathers. 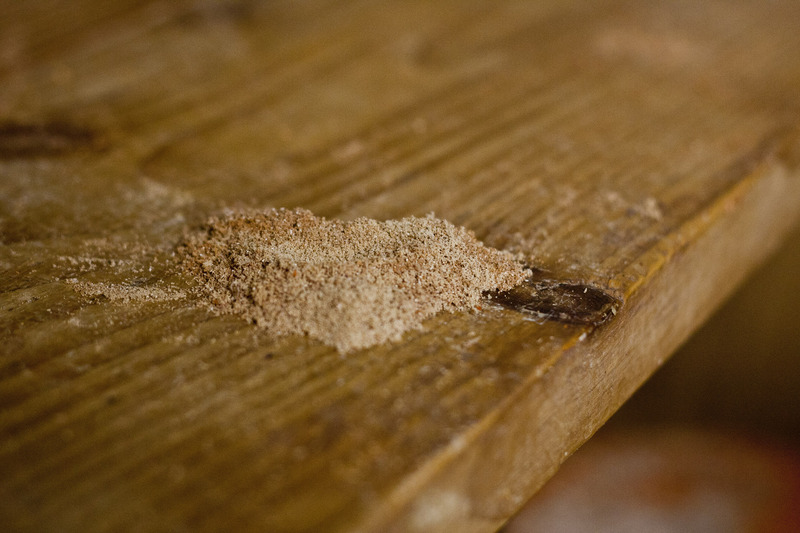 This is no ordinary dust; they are microscopic bugs whose action on the cheese’s surface influences flavor and character. This cheese is literally alive. It’s in this moment that I begin to really grasp and appreciate this artisanal trade for what it is- a simple miracle of nature, an art, a science, a passion and a skill which has been handed down through humanity since it was first created by accident over 6,000 years ago. Walking out of Alléosse caves d’Affinage, I feel so fortunate to have seen and experienced this ancient tradition first-hand, being kept alive in the current day- and something I was never exposed to in Australia. At the same time I can’t help but feel a sense of melancholy at the sad reality. 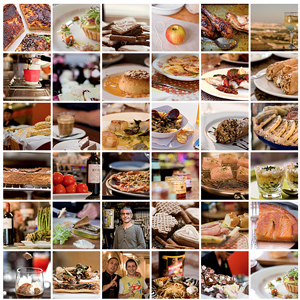 France, the original cheese mecca of the world, has an industry that is fast declining. Meanwhile, the artisanal cheese industry is fast booming in the US and the UK with mass demand and export to Japanese, Russia and the UAE. It seems the new world is embracing the old. I for one find it hard to imagine France without its wonderful stinky cheeses, and I hope even more so that we will never have to. • Of the 100-150 raw milk cheeses available, three disappear each year, meaning around 40 have become extinct in the last decade. 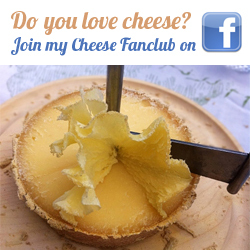 • While Americans, Australians and Britons are increasingly going for unpasteurized cheese, in France raw milk cheeses dropped to 179,750 tonnes in 2008 against 183,500 tonnes in 2006.